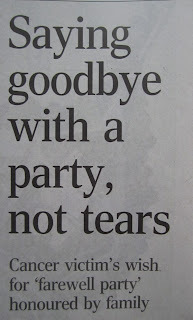 We have all been to farewell parties where we bade a fond goodbye to a colleague who is leaving for better job prospects elsewhere, or to a family member or a friend about to emigrate to greener pastures overseas. We experience mixed emotions - we celebrate the occasion but at the same time feel a sense of loss not knowing when we will see that person again. 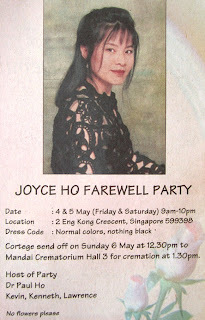 The same mixed emotions were probably felt at Joyce Ho's farewell party yesterday. I had seen the announcement in the Straits Times while browsing the papers a day earlier. 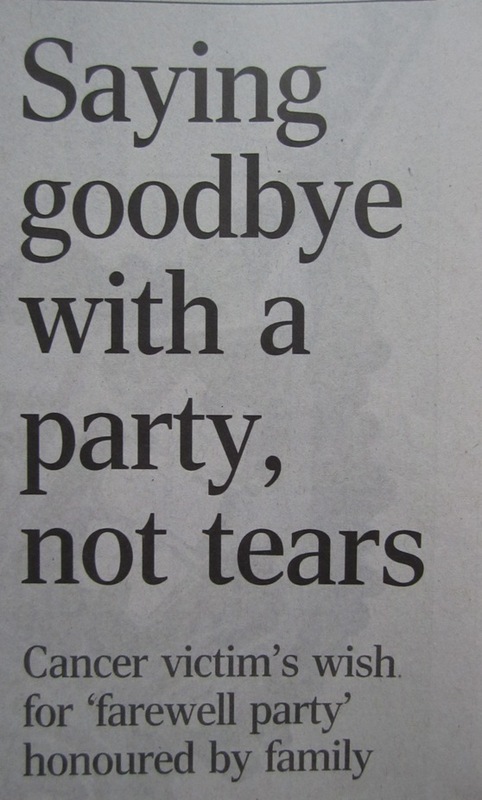 My first thought was "That's the way we should say goodbye when our time is up. If we have lived a good life, we should celebrate reaching the finishing line with oomph, not gloom. I do not know Joyce or her family but she is certainly an inspiration to those among us who may be battling terminal illness. 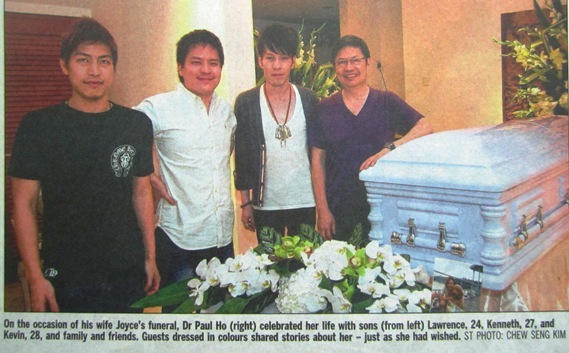 Death is not a taboo subject, and there is no need to fear death. We should count our many blessings and welcome the eternal rest that awaits us. And to our dearly loved ones, when we bid our final adieu, please celebrate our crossing over to the other side with our favorite music, our favorite things and our favorite people. 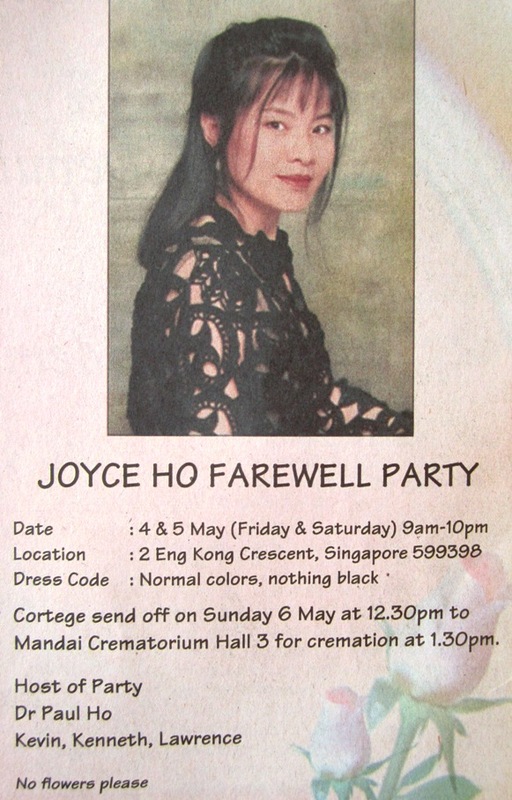 And know that, just like Joyce, we too will rest in peace. It's the epitaph of R L Stevenson who wrote it himself! Beautiful and so well put! FINALLY, A CURE FOR CANCER? ELVIS IN CONCERT - SIMPLY AWESOME!